Welcome to our quaint little brewery nestled on the outskirts of New Glarus, Wisconsin. The brewery is run by an enthusiastic couple, Daniel & Deb Carey, who have successfully combined business management and brewing professionalism. 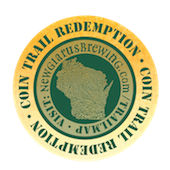 Our philosophy is based on individuality, cooperation and the employment of 100% natural ingredients to produce world-class, handcrafted beers for our friends in Wisconsin. Cheers! The brewery will be closed on Easter Sunday (April 21st). We will reopen on Monday, April 22nd at 10:00 AM. Have a Happy Easter! Great American Beer Fest Winners List! Draft Magazine: Staghorn in Print!